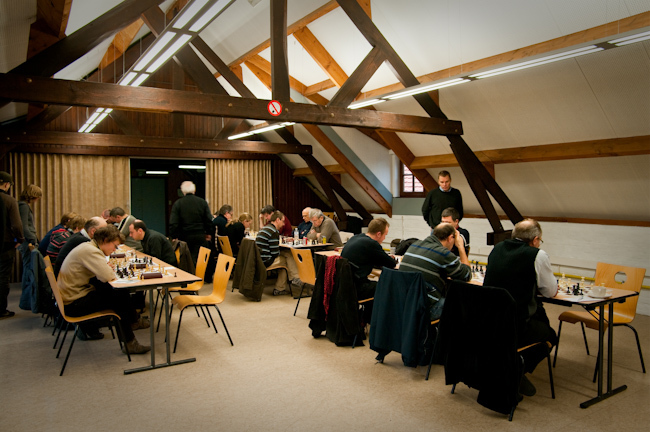 In the last round before Christmas, Europchess 1 had to travel to Tournai, near the French border. Weakened by the absence of their first three players, the host team could not put up much resistance. On board 4, as usual, József Barta won the first game, this time with White. His opponent Lorant Liennard (1393) chose the Pirc defence, a risky choice against József in attacking mood. When White castled longside and advanced his kingside pawns with f3-g4-h4, Black surprisingly sacrificed a knight on g4 for two pawns. This did not help much however. Black tried in vain to activate his pieces and József also won another exchange. With a full rook up, the resignation came soon. 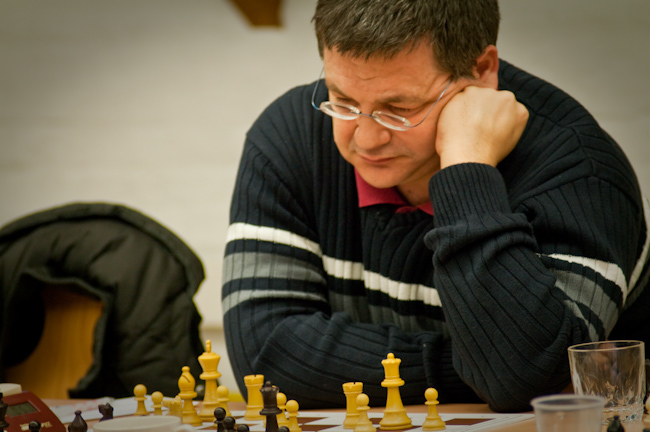 Frank Hoffmeister on board 2 had White against Jean-Pierre Ghislain (1435). Frank took a pawn in the opening and controlled the board. With a nice pin, he then also conquered Black’s two remaining centre pawns, after which the game ended without further ado. On board 3, Igor Ishkhanov (1432) tried to simplify with White against Jenö Czuczai with the exchange French. However, Jenö was able to complicate the game prevented White from castling. 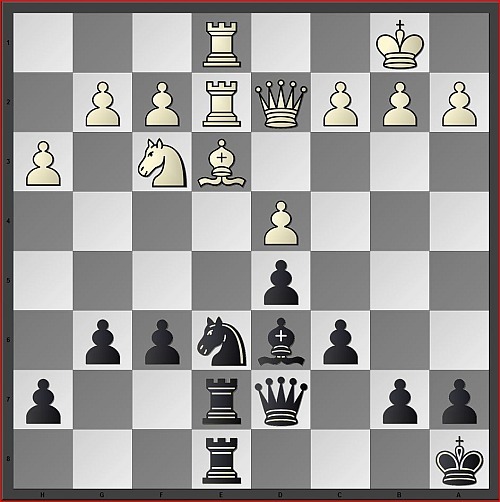 Exercising pressure over the opened d-file, Jenö then first won a pawn, followed by an exchange, after which the game was effectively over. Finally, Tom Wiley on board 1 won against Enguerran Meurisse (1616). Starting from a closed position and some opening exchanges, Tom could create a weakness on White’s queenside. He then forced his opponent to defend with rook a1 and queen b1, while Black had space advantage and more mobile pieces. After the creation of a second weakness on the kingside, Black’s flexible rooks could be easily switched to that side of the board, which decided the game nicely. With this 4-0 win, Europchess 1 has established itself firmly in the lead in division 4C , while the strongest competitor, Creb 2, has fallen two match points behind. 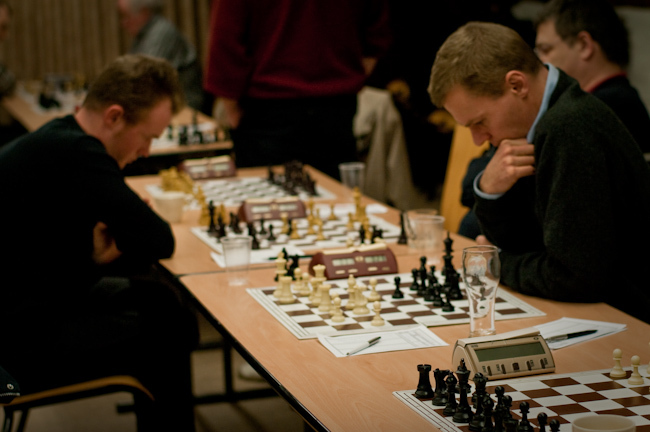 Europchess 2 faced with Wavre 4 a motivated opponent fighting against relegation. 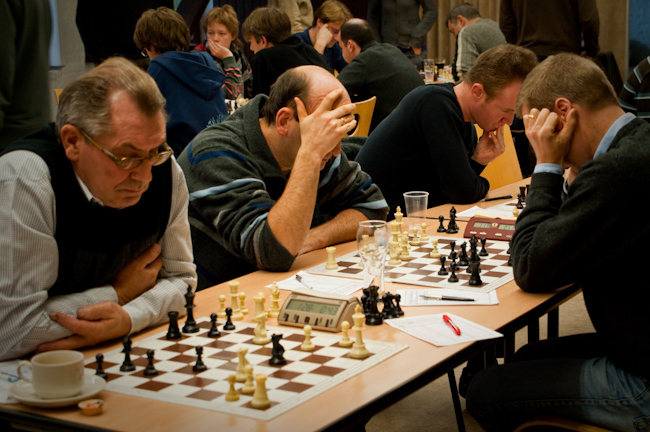 While Nicolas Rauta and Jens Frederiksen won their games, Colin Gilbert and Philippe Mariamé had to cede the point. With a 2-2, Europchess 2 won another important match point. 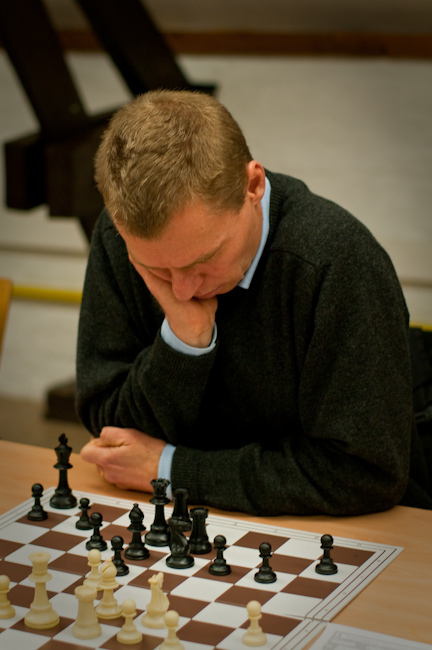 Going to Opwijk, Europchess 3 met one of the strongest contenders of the title in Division 5J. However, facing Eduardo Semanat Planas on board 1, Sam van Zeebrook (1584) did not see the day. Eduardo played strong Sicilian, inflicting a backward pawn on the c-file for White. Using only 10 minutes of the clock, Eduardo finished off the game in a straight forward fashion. Milan Pein (with White) on board 4 played a Queen’s Gambit Declined Bg5 line against Valere Van den Eede (1321) and after some (questionable) exchanges he gave the Bishop pair for Bishop and Knight and forced a c4-d4-e3 central pawn structure against Black’s e6-f5-e4 pawns. After a failed attack against the e6 weakness Black has won a pawn but lost some tempi to coordinate his pieces and finally White won back the pawn. 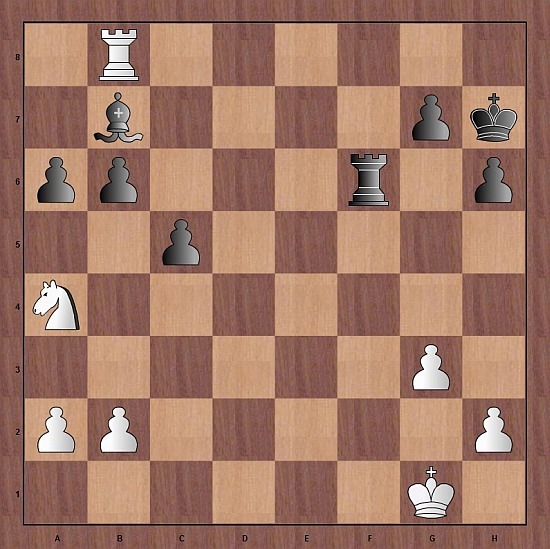 An endgame with N+R vs. B+R and 4 pawns on each side was reached when the players agreed to a draw. Our board 3, Kristian Pade Frederiksen tried to get an advantage against Jan Van Cauwenbergh (1481), but with the exchange French that was not an easy task. White played with no ambition, delaying castling until Black had decided where to put his king, shuffling the rooks about on the first rank and toying with active pawn moves but then refraining from them again, redoubling rooks on the only open file and so forth. Black, too, was reluctant to go all out with weakening pawn thrusts, and so basically a battle of nerves ensued where each player waited for the other to commit himself. Since neither White nor Black made any obvious mistakes, Kristian accepted a draw offer in a completely dry position, but in a situation where this would most probably secure match victory. Pere Moles Palleja on board 2 played a hypermodern Reti with White against Koen Michiels (1531). While Pere got the better game, no decisive breakthrough was in sight. 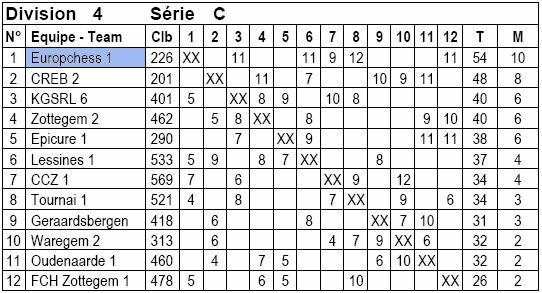 In view of the overall team win, Pere therefore conceded his first draw in the Interclubs. 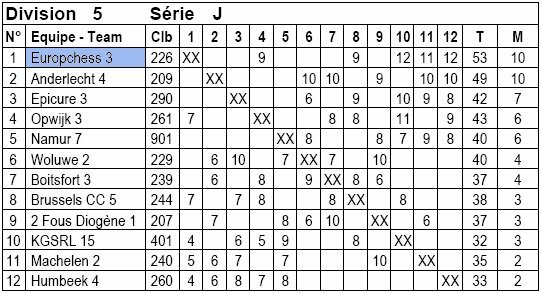 In Division 5J Europchess 3 therefore remains on the top. 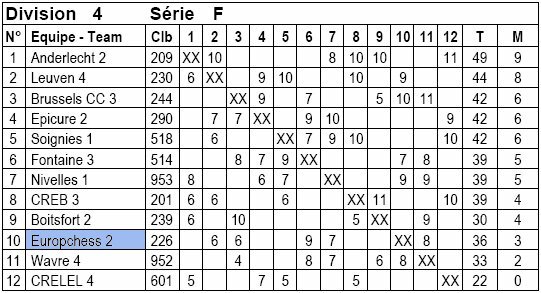 However, with Anderlecht 4 there is another team in the running which equally scored all match points.